What’s not to love about classic toys? Reminiscent of simpler times, with a charm all their own, they give adults just as much pleasure as children. 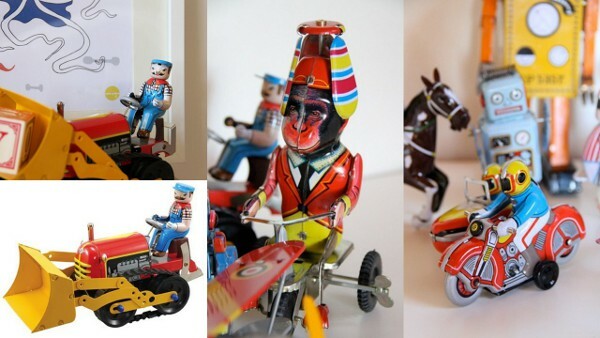 These tin toys tick all the nostalgia boxes – vintage look and feel, with simple wind-up movements that never cease to impress little ones. Let me introduce you to this band of misfits. I’ll start with my pick of the bunch, Cowboy with Whip. This plump little fellow sits atop his trusty steed at mid-gallop. 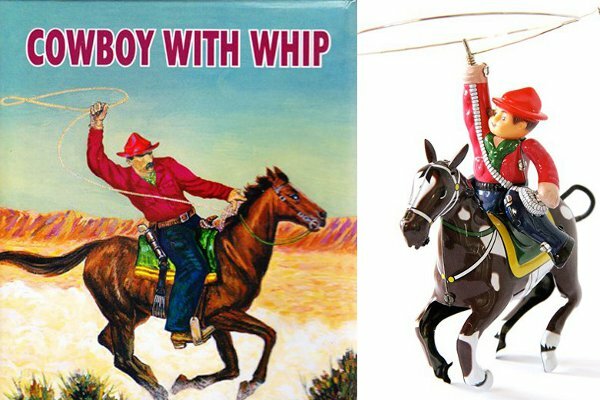 The cowboy swings his lasoo while the horse rears when the toy is wound up. He is incredibly detailed, and comes in a 1950s era box, which looks like a perfect replica. He’s recommended for children over the age of six and costs $27.95. 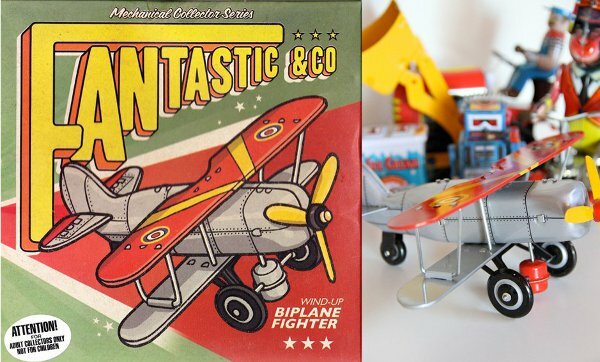 Then there’s Fantastic & Co Bi Plane Fighter for $39.95. The clockwork powered propeller gives the toy a touch of authenticity, and accompanied by an imaginative child’s obligatory plane noises, it comes to life. 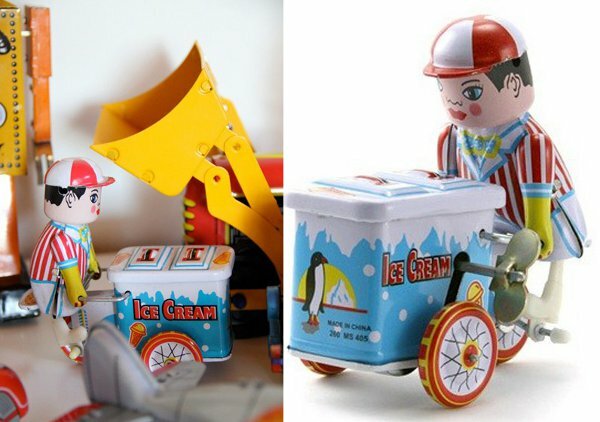 The Ice-cream Vendor is just adorable – wind him up and he’ll deliver a cool delight to the entire neighbourhood. And he’s just $15.95. 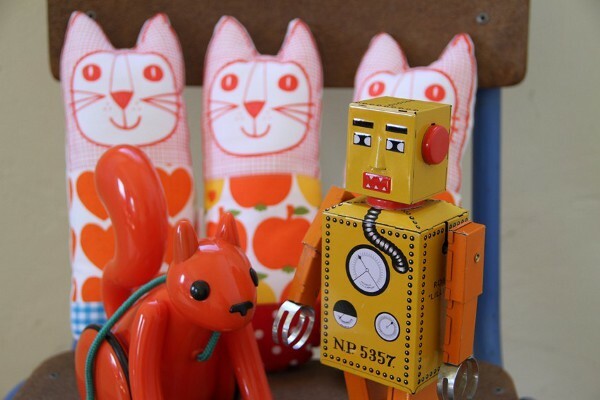 There’s also a great selection of robots, including Fantastic & Co Lilliput Robot, based on that first, boxy tin toy robot from Japan. He just oozes retro-cool, and can walk the walk – as long as he’s wound up. The Lilliput Robot is $49.95. 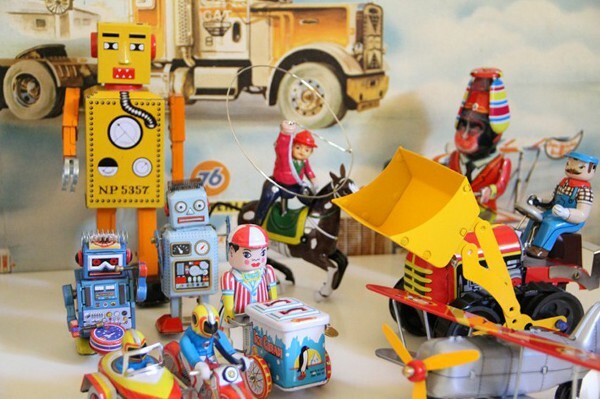 The tin toys are available from the beautifully eclectic Childrens Dept, which ships all over Australia for a flat rate of $9.95.